Gere’s Lock, officially Lock No. 50 of the Enlarged Erie Canal, is a neglected remnant of New York’s nationally-significant canal system, now celebrating its bicentennial. It is in an abandoned, overgrown area south of the New York State Fairgrounds and west of Route 5 on property owned by Allied Signal. PACNY has selected Gere’s Lock for listing as a threatened property to raise awareness about the need to preserve and reveal this important remnant of the Erie Canal, as well as to spur interest in providing public access. Gere’s Lock and its associated prism were built in 1850 for a realignment of the original canal designed to negotiate a twelve-foot change in elevation. The lock is on property that was historically owned by the Gere family, a major landowner in the Town and Village of Geddes who contributed significantly to the early growth of the community. Robert Gere settled in the Village of Geddes in 1824 and built a large farm on land purchased from the state. 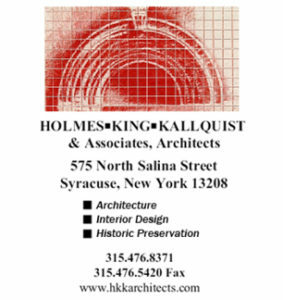 From 1848–1851, he was superintendent of the Onondaga Salt Springs Reservation (OSSR) and formed the Geddes Coarse Salt Company with prominent businessmen and brothers Horace and Hamilton White. Following his tenure as superintendent of the OSSR, Gere assisted in the construction of Lock No. 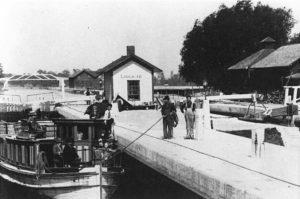 50 on the Enlarged Erie Canal, which became known as Gere’s Lock. A lock tender’s building originally stood between the two chambers, and various buildings related to canal commerce and salt production were located immediately adjacent to the lock. Following the closure of the Enlarged Erie Canal in 1918, many sections not absorbed into the New York State Barge Canal were abandoned, including the portion containing Gere’s Lock. 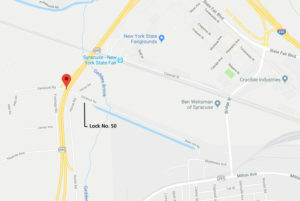 The property where the lock is located was acquired by Allied-Signal, and the flooded portion of the canal to the east of the lock was allegedly used for waste disposal. 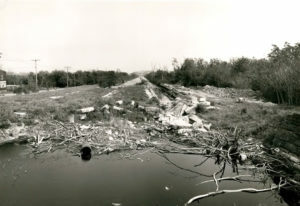 The portion of the canal to the west was obliterated for construction of Route 695. Into the 1970s, the lock and the nearby sections of prism remained open and visible, but soon became hidden by woods. A nomination to the National Register of Historic Places for Gere’s Lock was prepared in 2001 but did not proceed to the review phase due to landowner objections over the listing. Despite a road and a highway exit that use the name of Gere’s Lock, there is nothing to indicate its presence or historical significance. A wood sign located near the corner of the road noting the location of the lock has recently been removed. Although hidden by dense vegetation, the canal prism and masonry walls of the canal and lock are generally intact. The western end of Gere’s Lock is readily accessible (by pedestrians) from the intersection of Horan and Gere Lock Roads – the berm that supported the former towpath along the canal is also accessible from Gere Lock Road. 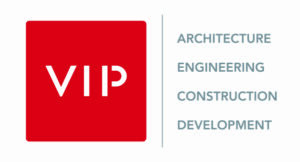 With the increased interest in “closing the gap” in the Erie Canalway Trail, these features could be redeveloped and incorporated into a trail or park with relatively simple and low-impact site improvements, including vegetation clearing and safety enhancements. 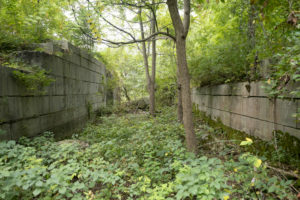 With national attention during the bicentennial of the Erie Canal, now is a prime time to return the neglected Gere’s Lock to a celebrated part of Central New York’s world-renowned transportation heritage.